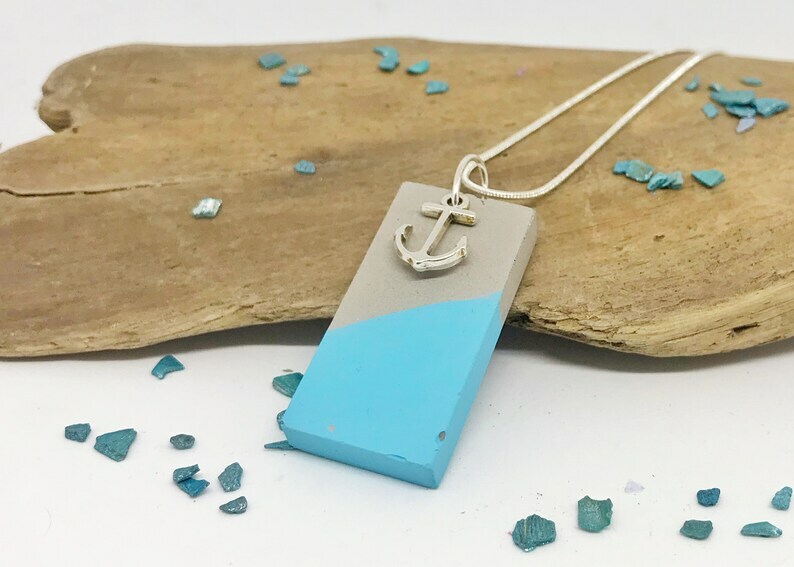 Beautiful concrete necklace, decorated with blue Chalk paint and an Anchor. A real Eye-catcher. The Chain is pleasantly light. Leather Bracelet "Blue starry Sky"
Glass Ring "Black 12 mm"
Sliding pearl zodiac Sign "Virgo"
Sliding bead zodiac Sign "Gemini"